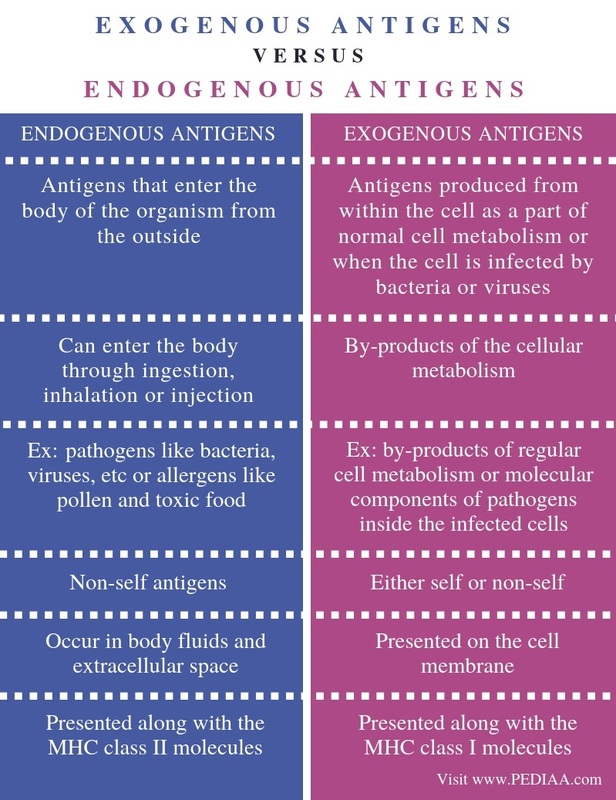 The main difference between exogenous and endogenous antigens is that the exogenous antigens enter the body from the outside whereas the endogenous antigens are generated inside the body. Exogenous and endogenous antigens are the two main types of antigens in the body. They are classified based on the origin. Furthermore, exogenous antigens enter the body through ingestion, inhalation or injection while endogenous antigens are the by-products of the regular cell metabolism. Moreover, cells produce endogenous antigens when infected by pathogens. Exogenous antigens are the non-self antigens that enter the body from outside, either by ingestion, inhalation or injection. They include bacteria and other pathogens that cause infections, pollen and food particles that can cause allergies. Therefore, exogenous antigens occur in the extracellular space and body fluids including blood and lymph, but not inside the cells. Antigen presenting cells (APCs) including macrophages, dendritic cells, and B cells readily take up exogenous antigens by endocytosis and degrade them into short fragments with the help of digestive enzymes in lysosomes. The processed antigens are present on the cell membrane of the antigen presenting cells along with the MHC class II molecules. CD4+ Helper T cells recognize these antigens and secrete various cytokines to activate different types of cells in the immune system, including B cells that produce antibodies, cytotoxic T cells that induce cell lysis and apoptosis, and macrophages that destroy antigens by apoptosis. Some antigens such as intracellular viruses start as exogenous antigens and later become endogenous antigens by infecting cells. The release of viral particles to the outside from infected cells returns them to exogenous antigens. Endogenous antigens are the antigens produced as a result of cell metabolism. They can be either self or non-self antigens. Here, the by-products of the regular cell metabolism are self-antigens while the pathogen-related antigens produced by the infected cells are non-self antigens. The immune system is supposed to generate an immune response only against non-self antigens. When a pathogen infects a cell, the molecules generated inside the cell as a result of its metabolic processes are also present on the cell membrane of the infected cell along with the self-antigens of the cell. The pathogen-related antigens tag the cell as an infected cell. Here, both self and non-self antigens are present along with the MHC class I molecules. 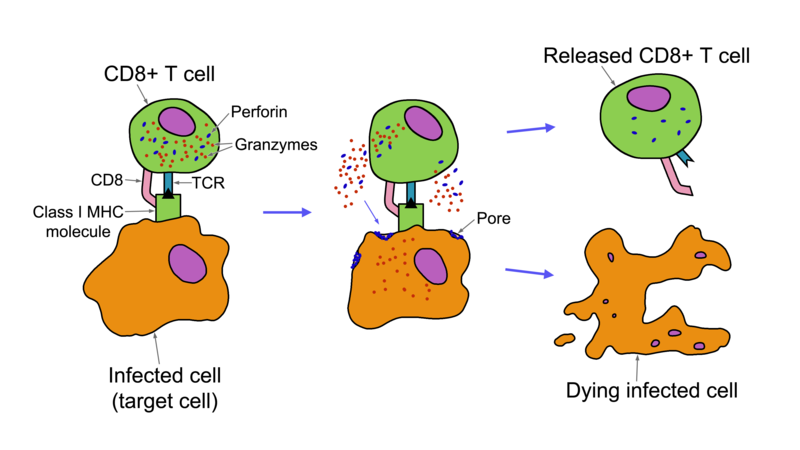 Therefore, cytotoxic T cells recognize the non-self antigens on the cell surface and secrete various toxins, which induce cell death of the infected cell either by cell lysis or apoptosis. Exogenous and endogenous antigens are two types of antigens in the body. Both differ by their origin. In addition, they are mainly proteins, peptides or polysaccharides. Moreover, both can trigger immune responses by being recognized by the antibodies. Exogenous antigens refer to the antigens that enter the body of the organism from the outside while endogenous antigens refer to the antigens produced from within the cell as a part of normal cell metabolism or when the cell is infected by bacteria or viruses. Thus, this is the main difference between exogenous and endogenous antigens. That is; the exogenous antigens can enter the body either through ingestion, inhalation or injection while endogenous antigens are by-products of the cellular metabolism. For example, exogenous antigens are pathogens like bacteria, viruses, etc. or allergens like pollen and toxic food while endogenous antigens are the by-products of regular cell metabolism or molecular components of pathogens inside the infected cells. Another difference between exogenous and endogenous antigens is that exogenous antigens are non-self antigens while endogenous antigens are can be either self or non-self. Moreover, exogenous antigens occur in body fluids and extracellular space while endogenous antigens are presented on the cell membrane. Hence, this is another major difference between exogenous and endogenous antigens. Also, the activation of the immune system in each case contributes to another difference between exogenous and endogenous antigens. That is; antigen presenting cells take up exogenous antigens, process into fragments, and present to the CD4+ helper T cells while cells present endogenous, non-self antigens to the CD8+ cytotoxic T cells. Furthermore, exogenous antigens are presented along with the MHC class II molecules while endogenous antigens are presented along with the MHC class I molecules. Therefore, this is also a difference between exogenous and endogenous antigens. How the immune system responds to each antigen makes another difference between exogenous and endogenous antigens. 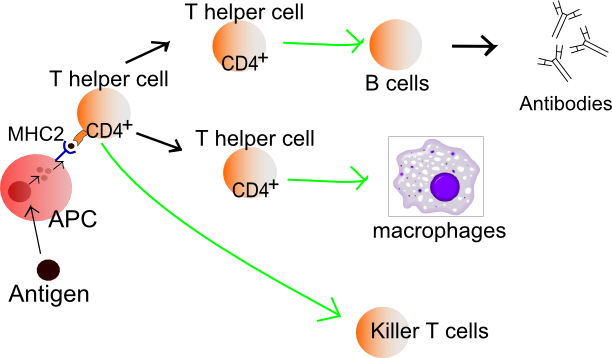 T helper cells secrete cytokines to activate B cells, cytotoxic T cells, and macrophages upon recognition the exogenous antigens while cytotoxic T cells release toxins that induce apoptosis or lysis of the infected cell. Exogenous antigens are non-self antigens which enter the body from the outside as a result of ingestion, inhalation or injection. On the other hand, endogenous antigens are by-products of the regular cell metabolism. Non-self antigens with both exogenous and endogenous origin are recognized by the immune system of the cell to produce an immune response. Thus, the main difference between exogenous and endogenous antigens is the origin, type of antigen presentation, and type of response generated by the immune system.